Nicknamed Rusty, he is a native of Syracuse, NY. His family moved to Bethel, CT where he graduated from Bethel High School in 1986. In high school Rusty played both soccer and ice hockey. He was captain of the ice hockey team and was twice selected to the All WCC League team. He went to Western England University and is owner of Granacker Construction. Rusty has been coaching hockey at Bethel for 24 years, where the past 14 seasons he has been the head coach and prior to that he was an assistant for 10 years. At home Rusty spends time with his wife Wendy and their 3 boys Jake, Tanner and Kenny. Bethel alumni, graduated in 2009. Played 4 years for Bethel/Brookﬁeld High School team, during his senior year he was awarded All-State, All Conference, and attended the senior showcase game. After high school he attended Western Connecticut State University where he studied Mathematics and also played club hockey in the Super East Conference. He was captain during his Junior and Senior years and also has the most games ever played at WCSU. During his time at college he volunteered coached with BBD, he is passionate about the game and loves to share the knowledge he has gained over the years. Nick was raised in Brooklyn, NY and graduated from Xaverian High School in 1967. He went on to Western New England University where he graduated in 1971 with a B.A. in Psychology. Nick is in his 10th season with the IceCats handling oﬀ-ice training. He also works with the players for conditioning in the weight room at Brookﬁeld High School. Nick coaches football and softball and is a staﬀ member of Brookﬁeld High School. He lives in Brookﬁeld with his wife Beth and daughter Ashley. He also has a married son, Nicholas, and daughter-in-law Kozeta who live in Massachusetts with their two children Kody and Andy. 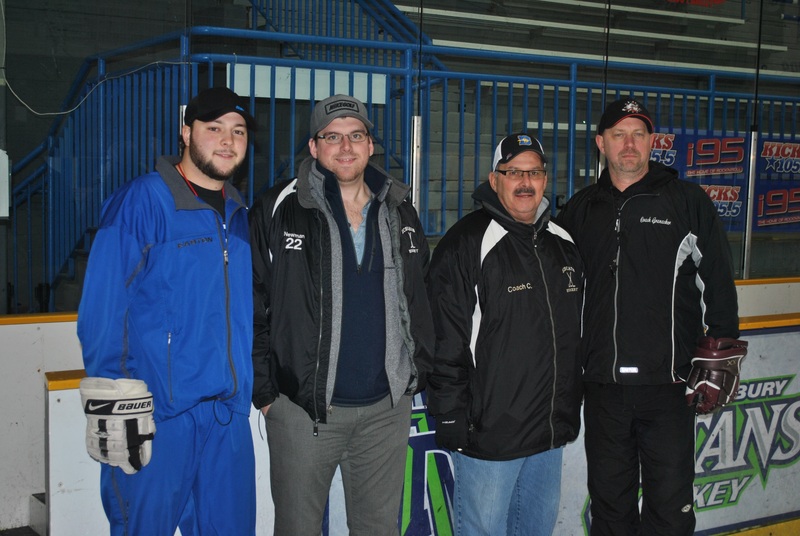 Rob Sutherland has coached youth hockey in Norwalk for 3 seasons and is now the goalie coach and peewee B coach for Ridgeﬁeld Amateur Hockey Association. Rob spent 3 years playing high school hockey at Immaculate High School and an additional 4 years playing Junior A hockey in Ontario, Canada. He is happy to have the opportunity to work with the players from the IceCats hockey program and looks forward to improving their skills.